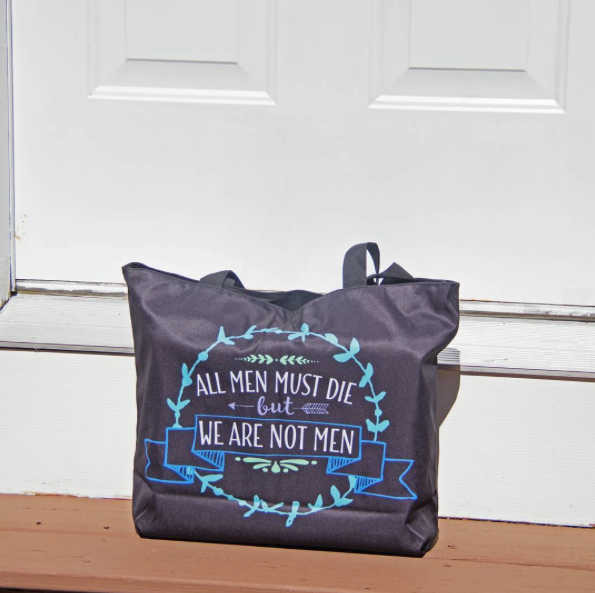 Our Game of Thrones "All Men Must Die" tote bag is on sale! This listing is for the tote bag only! When you purchase our "Ladies of the Con 2.0" SDCC 2016 Mystery Bundle, which is 50% off its normal price right now, you can get this tote bag plus a ton of other unique items! The bundle includes Harry Potter nail wraps, a Legend of Korra scarf, a DC Bombshells beanie, and much more! Buy it here!